Once upon a time back in the beginning of HTML and website coding, there was blinking code and marquee code and a lot of other things that have gone by the wayside and become obsolete. At one time you would just put around the code you wanted to show blinking and blink away it would. There is a little “easter egg” in google search that can bring a little bit of it back in the search results. Just type in “blink html” in the search box and you will see all result words “html” and “blink” actually blinking. We were curious of what other “easter eggs” we could find. One said to type “askew” in the search box. We found a link to https://elgoog.im/tilt/ which showed a tilted google page. When we entered a search term, it showed a mirror image of google results with it going from right to left. Another said to type in “recursion” and the only thing we found is “Did you mean: recursion” which I guess in itself is a recursion. If you type “anagram” it will say “Did you mean nag a ram”. Where do you learn how to? Be it tying a tie, making a turkey, or learning a knitting technique, there are are many places to learn things. Many people go to YouTube to learn things while they do them like a new recipe or that tie or knitting technique. Even if you do a general web search, you are bound to find some videos showing you how to “do” it. According to Pew Research Center, about half of the people that go to YouTube do so to learn how to do something. 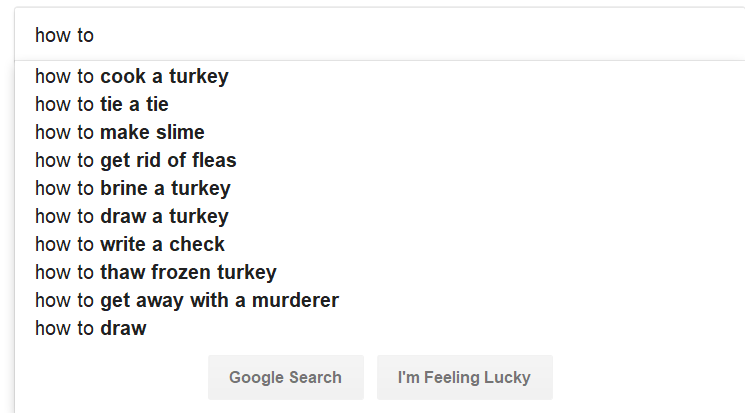 With Thanksgiving Day arriving this week, the top search showing as you type would be “how to cook a turkey”. There are many variations of like “how to brine a turkey” for example. There are other places to learn things like wikiHow. You just put in your search and it will show you some choices. Instead of videos you may find nice large pictorial steps telling you what to do for each step. On this site you can even ask questions. If you have questions related to technology, there’s always How-To Geek website. From choosing a device to setting it up, they have suggestions for you. We recently upgraded our Wi-Fi through our provider. What was new was we noticed two different bands to choose from. One was just a regular band (at 2.4 GHz) and a new one showing as 5 GHz. So what is the difference? Let’s find out. Coming right to my mailbox, I received a newsletter and there was an article referenced to it. So let’s go over it. First we learn that 2.4 GHz will support up to 450 Mbps or 600 Mbps dependent on router class. That comes with the standards you may see on router boxes as 802.11b, 802.11g, 802.11n, or 802.11ac. Not sure what mine was since it’s not printed on the box itself, I found the manual for it online and found it has all the above! So let’s chase this rabbit and find out what the difference between these classes are. 802.11b was better than the original 802.11 standard in July 1999. It brought the speed up to 11 Mbps. 802.11g, brought about in 2002, is supported by all devices and network equipment and supports up to 54 Mbps bandwidth. It is the least expensive to buy and run. 802.11n came about in 2009 and gives up to 800 Mbps bandwidth, an improvement over 802.11g but a little more expensive than 802.11g. 802.11ac has the fastest maximum speed and best range but more expensive. It uses dual-band wireless – thus the 2.4 and 5 GHz we can now see. Its bandwidth is 1300 Mbps on 5 GHz and up to 450 Mbps on 2.4. This is also called Wi-Fi 5. There are a few other 802.11 standards. 802.11ad is fast but the device must be within 11 feet. 802.11ah is a lower energy but goes beyond the reaches of 802.11ac. So now I’ve learned that I am seeing two bands because of the 802.11ac standard. The 2.4 GHz band happens to be used by other things as well. Old cordless telephones as well as garage door openers and baby monitors for instance. The 5 GHz band has fewer connections and higher speeds, however the shorter waves makes it harder to penetrate walls. You may need to use extenders for this band. If your device can use ethernet, then that will be the best connection you can have. The 5 GHz band is best used for streaming where you would experience less interference. In October, Microsoft will be rolling out a major Fall update. With the update rolling out in the next few weeks, you may need to do some preparing for the update. According to some rumors from some different places, it will require anywhere from 10 to 20GB free space. If you do not have enough space, the update will fail. In case you didn’t know, it will be easy to rid your machine of unnecessary files if you previously received the April 2018 update. Here is what you do: Go to Settings >> System >> Storage. Under Storage Sense, you can click the link that says “Free up space now”. 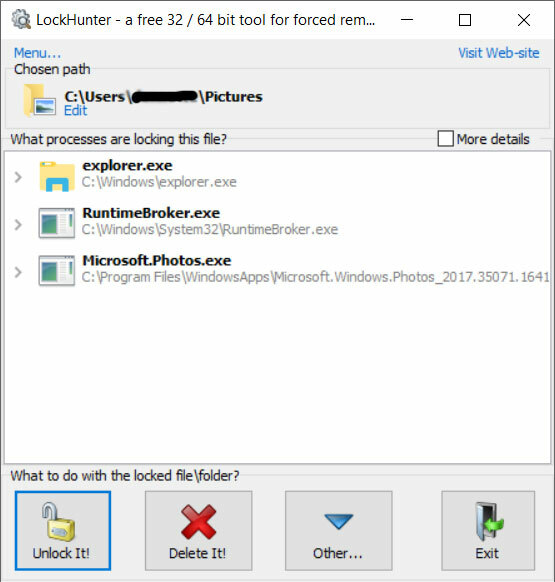 Once you click it you will see a list of files you can clean up such as Windows upgrade log files, Windows update cleanup, thumbnails, temporary files, temporary internet files, your recycle bin, and a few others. After examining the keyboard, the service type will be determined and they may replace a key, keys, or the entire keyboard. Eligible models are MacBook 12-inch 2015, 2016, and 2017; MacBook Pro 13-inch 2016, 2017 with two Thunderbolt 3 ports; MacBook Pro 13-inch 2016, 2017 with four Thunderbolt 3 ports; MacBook Pro 15-inch 2016, 2017. No other MacBooks are part of this service program. If you have this problem, you can find an Apple Authorized Service Provider, make an appointment at an Apple Retail Store, or mail your device to the Apple Repair Center. Be sure to back up all your data before you take any of these steps. If you have previously paid to have this problem fixed and want a refund, you can contact Apple for a refund. Gmail rolled out the new Gmail recently. We thought we’d give it a try. It didn’t really look any different once we set it up. Until we wanted to check in our contacts. 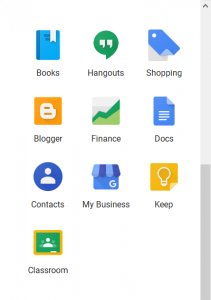 We no longer could just click on the name Gmail on the top left to get to our contacts. This meant a Google search to try to find it. 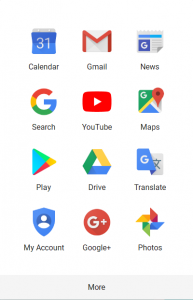 Here is where it is – on the top right is the app grid. Find contacts in there. You may need to move it up to the top so you can access them quickly. If Contacts icon doesn’t show, click More at the bottom of the first page and you should see it on the second. You can simply grab it and move it to the top. The first image shows the grid without the Contacts app. The second image shows it on the second page under More. 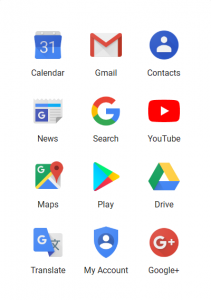 The third shows the Contacts app on the top right. Another difference we found is that Labs was missing. Labs were experimental addons you could enable to try different things. Does Windows 10 really shut down? To control what happens you can go to Control Panel > Power Options > and click “Choose what the power button do” and you can change what you want to do. If you are on a laptop, you can choose what happens when you close the lid as well. If you really want to shut down, you will have to do a restart. 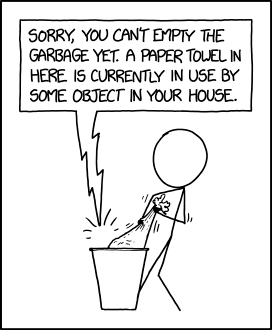 This makes the old “if you have problems, reboot” really mean it. If you are feeling adventuresome, you can create your own power plan as well. Duolingo is a way to learn another language online…for free. You can do it through your browser or their app. They have Spanish, French, German, Italian, Portuguese, Russian, Japanese (Beta), Dutch, Swedish, Irish, Turkish, Norwegian, Danish (we like cheese, please), Polish, Korean (Beta), Hebrew, Greek, Chinese, Vietnamese, Esperanto, Welsh, Ukrainian, Hungarian (Beta), Romanian, Swahili, High Valyrian (really? ), Czech (Beta), Klingon (Beta). Indonesian, Hindi, and Arabic are also in the works and coming soon. These are listed in order of how many people are currently learning these languages. Spanish has the most with 120 million people learning. Wait! Klingon? Yes they have Klingon in Beta with 40.6K learners already. All these languages are currently on the website but not all are available through their apps yet. The languages offer different rates of learning. They start at Casual for 5 mins per day, then Regular is 10 mins per day, Serious level is 15 mins per day and Insane is 20 mins per day. They will gear the lessons to your time level. You will need to make a sign-in to keep your place. You can create a separate login or use Facebook or Google account login. Some sites make their money with ads. But lets face it, sometimes they get to be too much and intrusive. With Chrome tightening rules on ads, there are still sites with ads if you use Safari on your iOS device. The Victor crew has a few solutions for you. Made by the people who make AdBlocker extensions. Simply install and then go to settings >> Safari >> Content blockers >> turn on AdBlocker extension. We’ve used this to keep ads from redirecting to other sites. So the Victor crew had an interesting problem. The update in the App Store on one of the apps got stuck. It kept spinning and spinning. For days. Tried closing the app in the app manager. Tried closing the App Store app in the app manager. Opened up the app store again. Still spinning. Of course we “Googled” the problem to see if anyone else had this problem. Some suggestions were to stop the automatic updates in the settings but that didn’t help. Some were to delete the app and redownload or remove the app data. We chose a different way. We rebooted the iPad. That did the trick. So the age-old fix for just about anything is reboot it. Recently a family member told me about an encrypted messaging app called Signal. It not only encrypts your text messages but also conversations. There are a few nice things about it: it is free, it is open source, and it works on both iPhone and Android phones. You can also send documents and images. 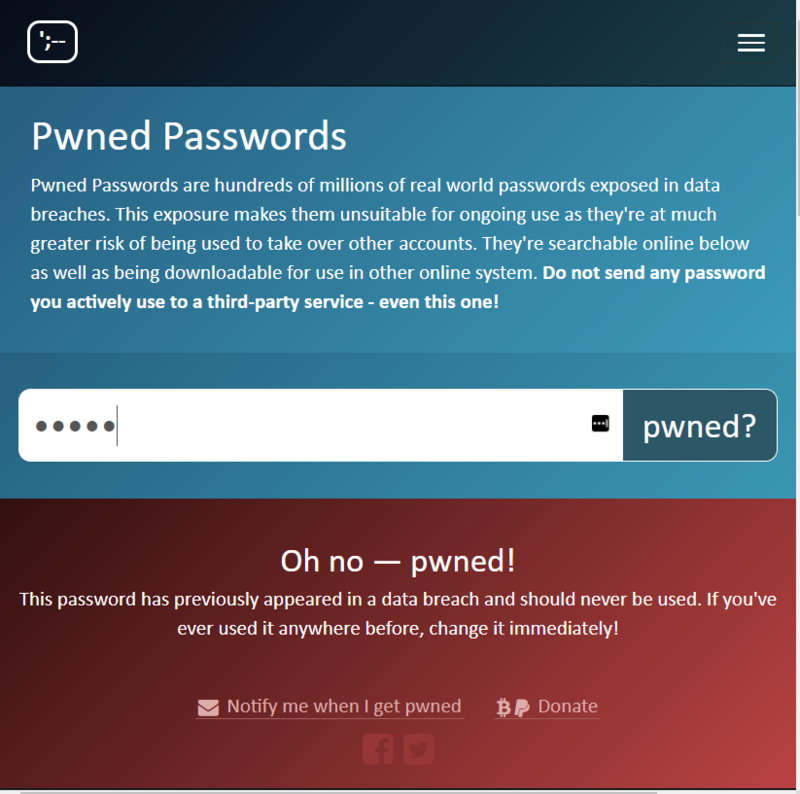 There is also a desktop app for your Windows, Mac, or Linux computer. Microsoft Edge has come a long way. The Victor crew tried something out this past week and it works like a charm. 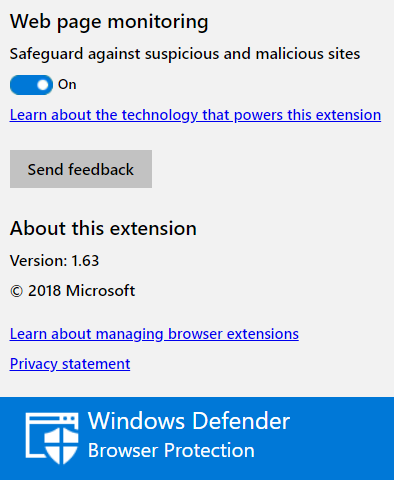 You can connect your phone to your PC through Edge. The practical side is if you are looking at something on your phone (small device) and want to view something larger, you can send the page you are viewing on your phone to your PC. And yes, iPhone users, that means you too! Install Edge on your mobile device (works with iPad as well). Sign in with your Microsoft password. Scroll to a site and at the bottom you will see some icons. 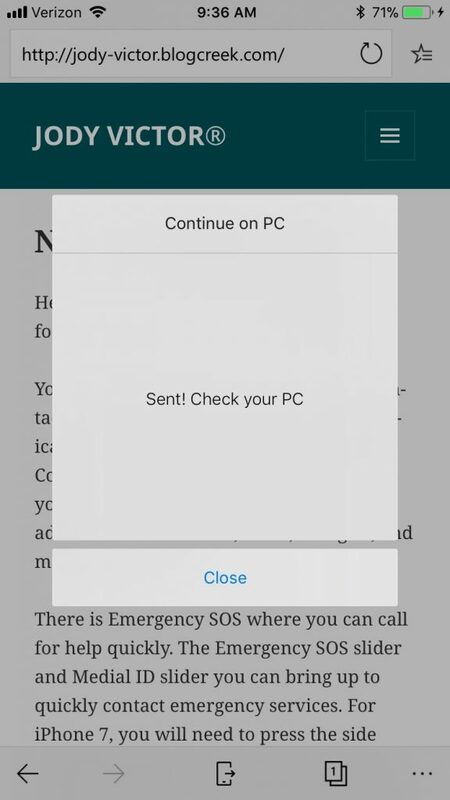 The middle icon (mobile device with arrow) is what you touch to send to your PC. Next when you see the screen below, you would choose which PC to send it to. I only had one connected PC as shown below (name partially obscured.) Press the PC you want to send the page to. 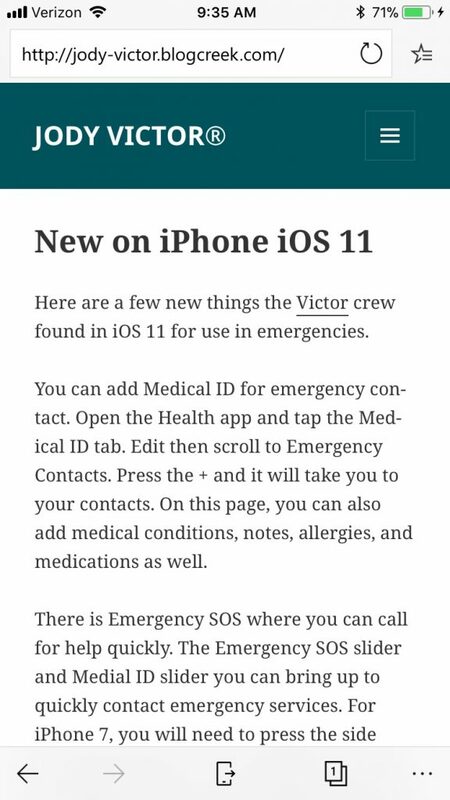 Here are a few new things the Victor crew found in iOS 11 for use in emergencies. You can add Medical ID for emergency contact. Open the Health app and tap the Medical ID tab. 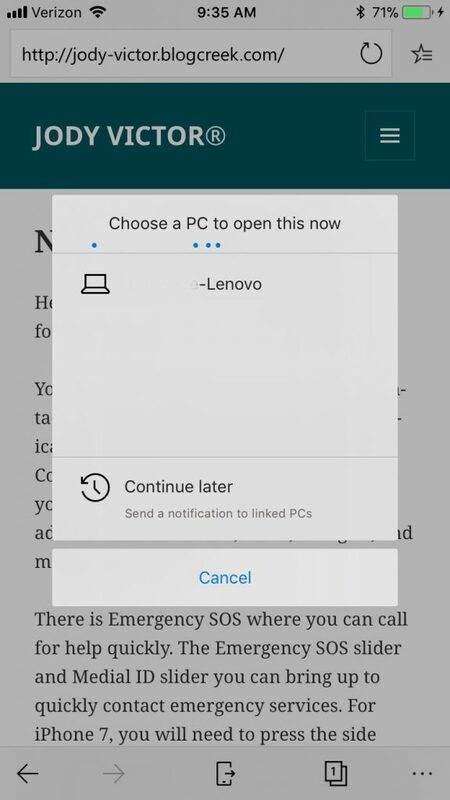 Edit then scroll to Emergency Contacts. Press the + and it will take you to your contacts. On this page, you can also add medical conditions, notes, allergies, and medications as well. There is Emergency SOS where you can call for help quickly. The Emergency SOS slider and Medial ID slider you can bring up to quickly contact emergency services. For iPhone 7, you will need to press the side button five times to get the sliders to show. For iPhone 8 or X, you would press and hold the side button and one of the volume buttons. After the call ends, the iPhone sends your emergency contacts a text message with your current location unless you cancel. If you have your location services turned off, they will turn back on temporarily. By now you’ve heard about the Equifax breach. Something you may want to do by November 21 is put a security freeze on your account. Until then, they are waiving fees to do this. A security freeze is supposed to block outsiders from opening an account in your name. This is different from a fraud alert which will only notify you if someone opens an account in your name (even you). A security freeze has you adding a PIN in order to make any changes. The three major credit monitors are TransUnion, Experian, and Equifax. Right now you can only put the freeze on Equifax for free. TransUnion and Experian will charge $10 for each. Currently there is legislation pending on making this free. If you are planning to buy a car or house you don’t want to freeze your credit just yet. Equifax will not be calling you so if you get a call saying it is from them, it is most likely a scam. If you enroll in their monitoring program, you would waive rights to sue if you are impacted by the breach. I can now find out what is locking the folder and take the actions I need to try to remove it. Ever wonder about your Internet speed? Are there times when you aren’t sure you are getting the speed from your ISP that you pay for? Running a simple test on your computer will tell you. First you need to know that the speed you receive via a computer connected through an ethernet cable may be closer to what your ISP says you have and connections through Wi-Fi will be lower. Why would you need to do these tests? Well if you are streaming and run into a lot of buffering problems or connection problems, you might want to take a look at your speeds. Are others in your household doing things that require more bandwidth such as streaming or gaming? Many ISPs have a speedtest if you want to try them – in some cases you just the need the url of your ISP then add /speedtest/ to the end of it. Here are some results from my test. You’ve heard the term megapixel many times especially with regards to digital cameras. But what does the term actually mean and is bigger better? That’s what the Victor crew wants to know. Here is what we found out. Early digital cameras had a poor resolution and didn’t compare to regular film cameras when they first came out. Some were only about one-third to half a megapixel. So a single megapixel is one million pixels. If you are using a one megapixel camera, you will have one million pixels in the image. So what is a good size? It depends on what you are going to do with the photos. If you are only going to view them online, one to three megapixels is fine. If you want 6×4 prints, you will need at least 2 megapixels. For larger 10×8 prints you would need to go to five megapixels and even larger 14×11 prints you will need to bump that up to seven megapixels. How do you get away with a smaller size on a computer? Most monitors aren’t usually more than 2000×1000 pixels so that is only two megapixels. If you have a 4K monitor, that is eight megapixels. So you can get away with about a 6 megapixel camera in most cases. More pixels, however will give you cropping room. You do not have to turn in your camera for more pixels.